A young woman enjoys the thrill of flying through the tropical jungle canopy suspended by only thin metal cables. 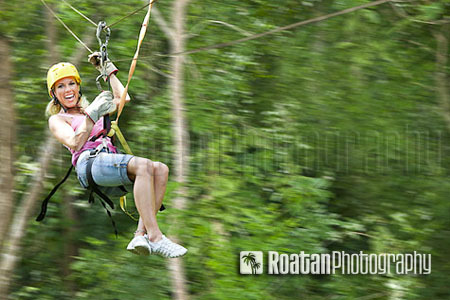 The zipline canopy adventure is a fun and enthralling way to experience the nature of the jungle from a birds eye view. Location, Roatan, Honduras.